This Banana Caramel Cake will have you begging for seconds. 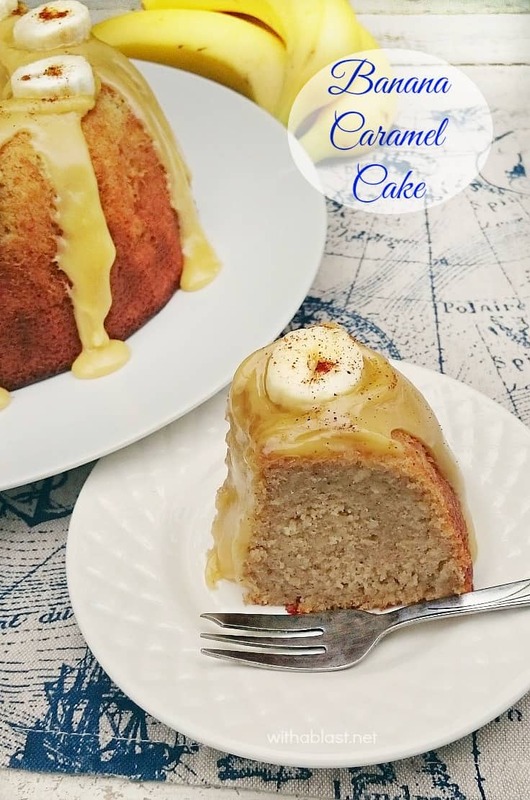 The cake is moist and the Caramel topping is just to die for delicious ! I baked this cake (well, not the one on the photos!) on Saturday. Then dropped it on the floor – once again, and this time I have no excuse – did not trip over Nahla, my wrist simply twisted and kaboom .. cake on the floor. 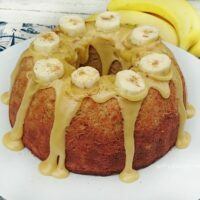 I did not have enough bananas and eggs leftover to make another one, and I really wanted this cake, especially after smelling the wonderful baking smell of the dropped cake. Early Sunday morning, I got some more bananas and baked this Banana Caramel Cake, which I can now share not only the recipe, but also the photos with you. And divine it definitely was ! 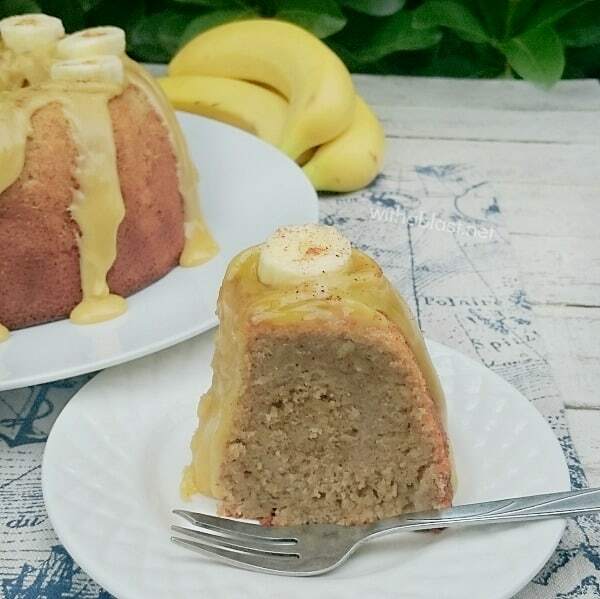 The cake is a little denser than the usual Banana Cakes I bake, but I did add a little more mashed bananas to this cake. I am a self-confessed Caramel addict (no hope of rehab for me!) and this Caramel topping is one of the best I ever made. Simple, but delicious. This cake looks amazing, Linda! Definitely pinned! This cake looks totally out of this world delicious! You must have been SO upset to drop the first one, but thank goodness for all of us that you made another. I need this cake in my life. I love how seriously moist and dense it is, and that caramel sauce… YUM! I love banana desserts. I've definitely dropped a dish here and there so I can feel your pain. Well sweetie this cake looks delicious! I've dumped one or two myself along the years. I bet it tastes wonderful! This looks so dreamy good Linda! Wow! I would love a piece right now! Looks and sounds delicious! Love the combination of the banana and caramel. What a gorgeous cake! 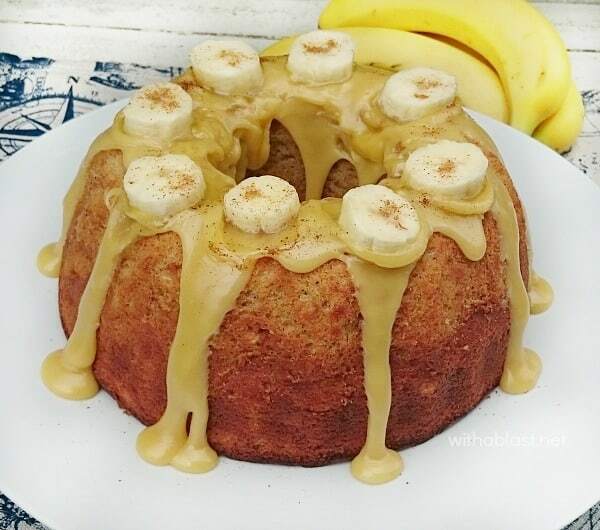 Banana and caramel is a classic combination and your cake looks so moist and delicious! Linda this cake looks decadently delicious! Caramel and bananas sound so great together. I love the combo! Hi! Stopping by from the Share Your Creativity link party. This looks so yummy! Pinned to try later! Great pictures and it does look very moist. Love the flavor combo and happy to have found you via, It's Overflowing. Have a happy week!